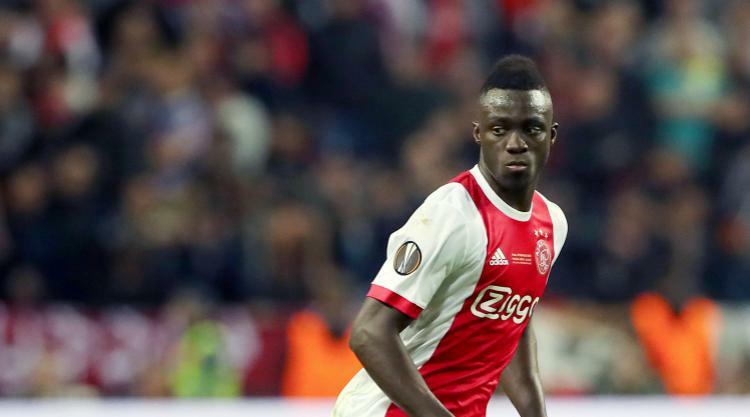 Tottenham’s long wait for a summer signing ended with the announcement of a move for Ajax defender Davinson Sanchez subject to a medical and the granting of a work permit. The 21-year-old Colombian centre back has put pen to paper on a deal until 2023 for a reported club-record Â£42million fee. He is the first player to join Spurs this summer and his arrival comes after much debate about the club’s transfer policy during the off-season. In a statement, Tottenham said: “We are delighted to announce that we have reached agreement with AFC Ajax for the transfer of Davinson Sanchez subject to medical and work permit. The fee is believed to eclipse the previous club record of Â£30million which Spurs paid Newcastle for midfielder Moussa Sissoko last summer. Sanchez joined Eredivisie side Ajax in June last year on a five-year deal after leaving Atletico Nacional in his homeland. He played in last season’s Europa League final, which Manchester United won 2-0, and was named Ajax’s player of the year in May. Sanchez said: “I would like to thank the coach, management, players and fans of Ajax. It is a great move for me to come here to develop my career. “I am very excited to be signing for such a famous club as Tottenham Hotspur. Sanchez has represented Colombia at Under-17, Under-20 and Under-23 levels before making his senior debut in November last year, and has two international appearances.